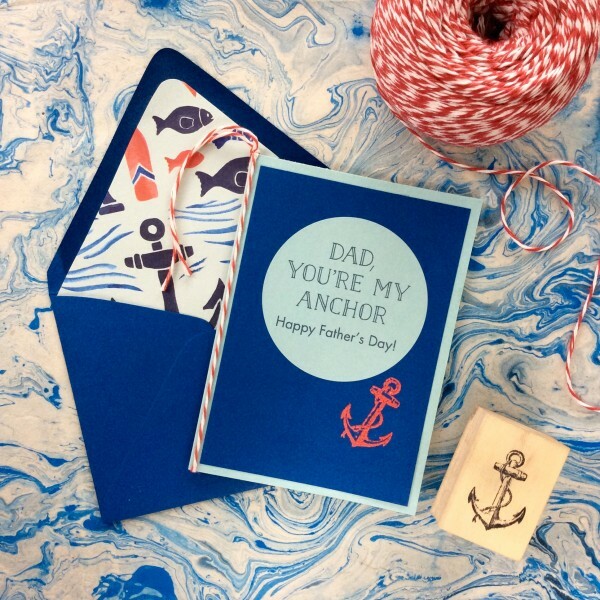 This Father’s Day: Celebrating Our Paper Source Dads! Father’s Day is only a few days away! Which means it is time to show all the fathers in our lives how much we care about them and appreciate all that they do. 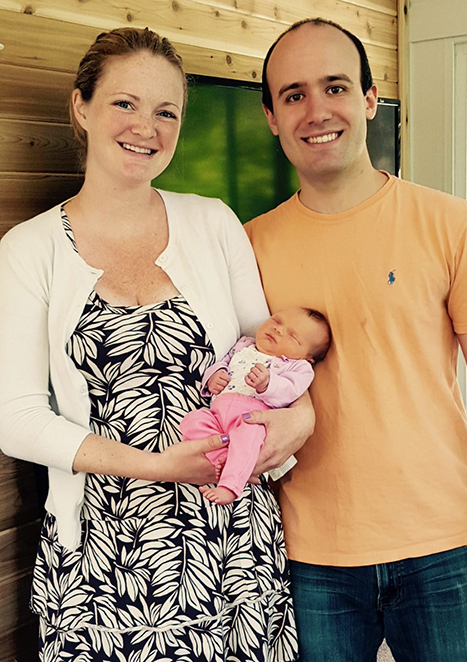 This Father’s Day, we are celebrating by spotlighting three dads from our Paper Source family. From Handy Man to Family Guy to Boss Man, these dads have many roles. 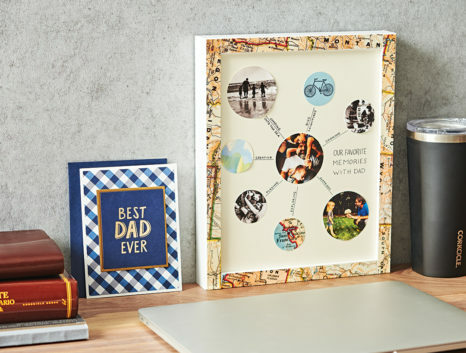 Here, they will share a bit about their lives as dads, as well as some of their favorite Paper Source items and gifts (that your dad might love too)! 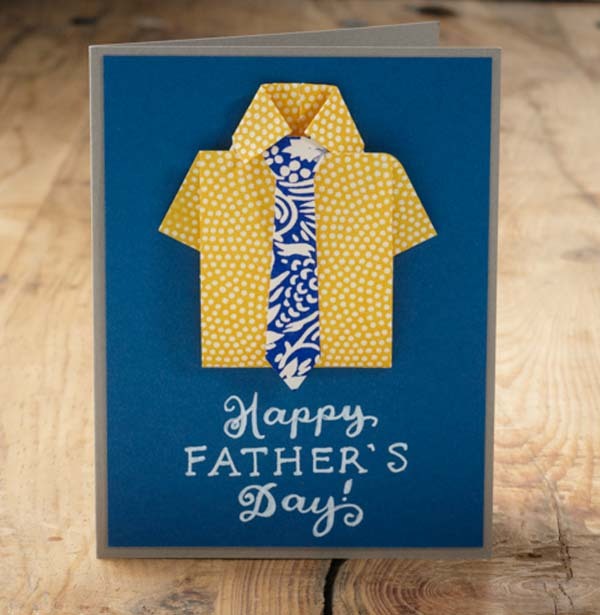 If you’re looking to make a card for dad this year (Father’s Day is June 15! ), we think you’ll love this one! Download the instructions and get to crafting for the world’s best dad! 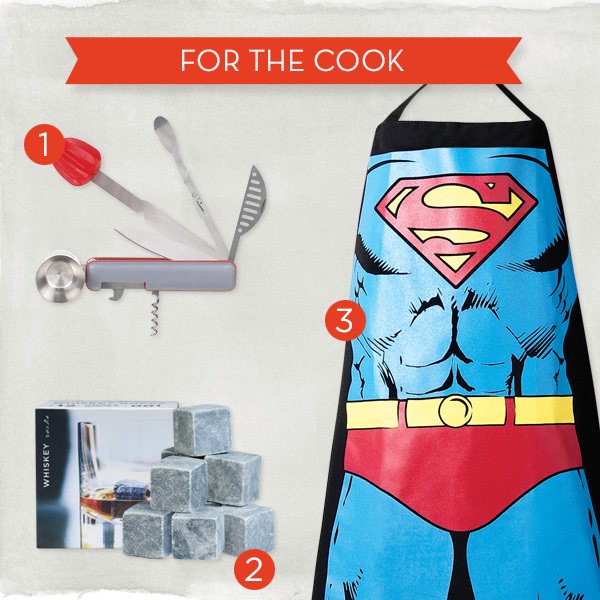 Give your dad something nifty this Father’s Day. 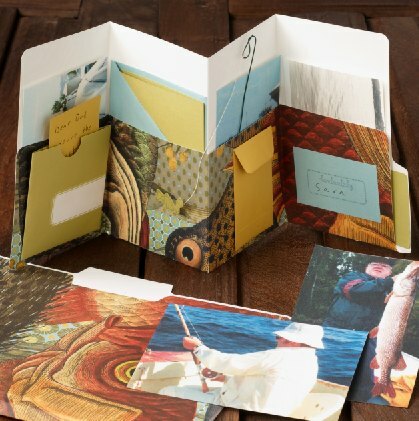 Our A2 note cards don a dapper do for this Father’s Day card. It’s the perfect way to put a smile on his face! Feeling extra crafty? Try creating yours from a box mailer. 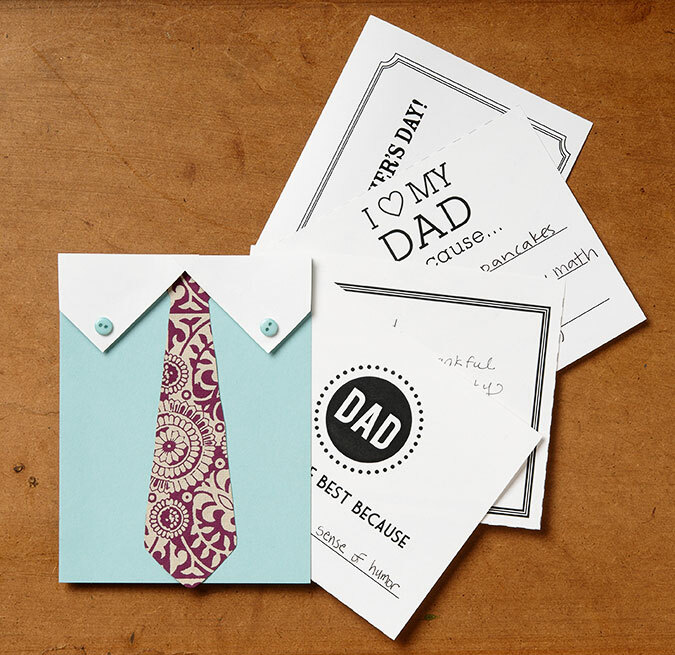 Father’s Day is only one month away, and let’s face it, dad can sometimes get the short end of the stick when it comes to sentimental gifts! Of course we know why… he would probably rather be watching a ball game (of some sort) or out fishing on any given weekend, but deep down he loves being remembered, especially with a gift from the heart! Here is a fun, easy way to do a 3-D homemade Father’s day card (this technique is great for a kid’s or baby’s room too). 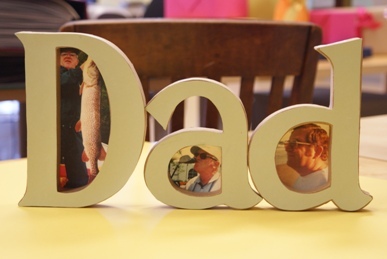 Start with our nifty 3-D craft letters, colored paper and some large photos printed on superfine white text weight paper. Our superfine paper works great with inkjet printers, and the matte finish makes it easier to glue than glossy finished papers.